During the first quarter of 2016, year-on-year shrimp imports increased to EU and east Asian markets but declined to the USA. Chinese traders have been active in Southeast Asia, buying directly from farms at strong prices. Meanwhile, raw material availability for export to traditional developed markets is low. A general overview implies lower availability of raw material in major shrimp producing countries, particularly in Asia. In China, farming efforts this year have slowed, even though EMS disease has in general been under control. Farmers that lost crops in 2015 to disease are not keen to continue farming shrimp this year. Reportedly, production is recovering in the Hainan area but in Zhanjiang and other areas, availability of good quality post larvae is poor, likely due to environmental pollution. Availability of raw material is also limited in India. As of June, overall production during the first half of the year remains lower than average in Andhra and Tamil Nadu, the two major faming areas of vannamei. Farms in Tamil Nadu are affected by the heat wave and diseases (EHP, white feces). Early harvests mostly consisted of smaller sizes (10g/pc) destined to domestic markets at strong prices for farmers and traders. Export processors in Andhra and Tamil Nadu are sourcing raw material from Odissa and West Bengal to supplement, as production in these areas are better. Poor availably of local raw material is also reported in southern Viet Nam due to drought and saltwater intrusion as well as EHP and white feces disease. According to the Ministry of Agriculture and Rural Development (MARD), production in large farming areas in Ca Mau, Kien Giang, Tra Vinh and Ben Tre provinces is poor, with conditions showing no sign of improving in the near future. Since May/June, Chinese traders have been heavily trading in Southeast Asia, buying shrimp directly from farmers in Viet Nam and Thailand at good prices. As a result, local export industries are now facing a raw material shortage. Ecuador reported moderate to high production supplies during the first quarter of the year. However, since the earthquake in April, supplies have slowed down. Last year's low price trends persisted in international shrimp trade until March/April 2016, helping boost imports in many markets during the first quarter. Imports increased to Japan and EU markets compared with the same period in 2015. However, there was a decline in imports in the USA due to high local inventories, a result of lower winter demand in the retail and catering trade during the year-end sales period. In many east Asian markets, imports experienced growth in order to meet Chinese New Year demand during January/February. As noted above, local production was seasonally low in China and Southeast Asia during this period. Looking ahead, Asian aquaculture production forecast for the rest of 2016 remains less promising compared with last year. In terms of prices in Asia, raw material prices have bottomed out and began climbing in May. Ecuador has increased its direct sales to China since the establishment of its trade office in China last year. Interestingly, Viet Nam imports a significant volume of Ecuadorian shrimp, which is then re-exported to China without further processing. During the first quarter of 2016, the top five global shrimp exporters (in order of ranking) were Ecuador, India, Thailand, China and Argentina. Exports from Ecuador declined by 1% compared with the same time period a year ago to total nearly 80 000 tonnes, Indian exports declined by 4% (totaling 71 700 tonnes) and Chinese exports also by 4% (36 800 tonnes). In Thailand, aquaculture production improved year-on-year in the first quarter, with exports showing an ample recovery to total 42 000 tonnes (+20%). Exports from Argentina increased as well by a significant 72% to reach 34 100 tonnes during the reporting period. The preliminary data on Indonesia indicated a marginal rise in exports during this period. Lower market prices resulted in strong shrimp consumption in Japan this year. During the spring festival months of April/May, retail demand for shrimp increased in the market as usual with supermarkets reintroducing promotional sales. This trend of spring sales was reflected in first quarter imports that increased 12.3% against the same period in 2015. Viet Nam, Thailand, Indonesia and India were the top suppliers. Japanese imports of raw frozen shrimp, (shell-on, tail-on nobashi and peeled products), experienced 17% growth in the review period. Whereas imports of value-added shrimp, which took a 27% share of total Japanese shrimp imports, increased only marginally. 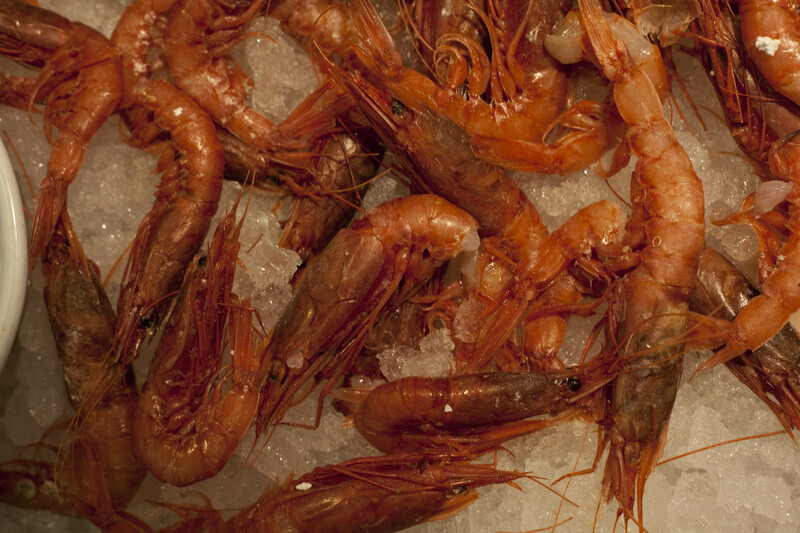 2016 began with great concern about low wholesale shrimp demand. Global stock markets were high, causing alarm and a demand drop in US markets. In a strategy to stabilize the wholesale market, shrimp of most sizes, origins and presentations, were offered at low prices in March, with importers cutting prices and offering discounts. The tactic succeeded as demand increased and achieved some balance with the previous oversupply. Despite this more promising market, cumulative shrimp imports declined marginally during the first quarter of this year compared with the same period in 2015. Reduced supplies from Indonesia, Ecuador and stagnant imports from India were reported, while imports increased from Thailand, Viet Nam and Mexico. The general weaker import trend continued in April. So far this year, the competitiveness of US buyers has weakened in the market due to Japanese and Chinese buyers offering higher prices. Indeed, Japanese shrimp imports are increasing and Chinese traders are buying aggressively in Asia. Supplies from Ecuador decreased to the USA and appear to be re-diverted to east Asian markets, which experienced growth in Ecuadorian shrimp. Year-on-year shrimp imports increased into the EU by almost 2% during the first quarter of 2016. Nearly 74% of imports came from non-member countries. The most important markets were Spain (29 800 tonnes), France (25 200 tonnes), Denmark (21 899 tonnes), the UK (18 500 tonnes) and the Netherlands (16 400 tonnes). Compared with last year’s same period, imports declined by 6.3% to Spain and 3% to France, increased by 12% to Denmark as well as to the UK and grew by 3% to the Netherlands. Notably, part of these imports into Denmark and the Netherlands are re-exported to markets within the EU. There were also higher imports in Italy, Germany, Portugal, Sweden and Greece during the review period. China, Republic of Korea, Hong Kong SAR, Taiwan Province of China and Singapore are the main import markets in Asia. During the reporting period, imports increased considerably in all of these markets. In China, there was a 4% fall in exports but imports increased extraordinarily by 125% to total 31 100 tonnes during the first quarter of 2016 against the same period last year. Supplies increased from all top ten sources. The leading suppliers were Argentina (+500%), Canada (+75%), Ecuador (+390%), Thailand (+37%) and India (+41%). This significant export growth was driven by tapering domestic production and high demand during the Chinese New Year period in January/February. There were also higher imports from Viet Nam and Myanmar into China through border trade during this period, which is not available in published records. Viet Nam is possibly the largest importer of shrimp in Asia. Imports from five sources including Ecuador and India totaled 50 000 tonnes during January-March 2016, although with slightly lower supplies from both of these countries. In the Middle East, imports increased during the reporting period. Australia imported less due to the weak Australian dollar. Domestic demand for shrimp is also growing in many producing countries. For instance, in Mexico, supplies of farmed shrimp increased this year with products selling mostly in the domestic market. The black tiger shrimp production in Bangladesh also found a growing local market, as exports suffered during the last two years with falling prices in the international market. The production forecast for farmed shrimp in Asia remains less promising for 2016 due to the ongoing disease problem in China and in some parts of Southeast Asia along with draught and a delayed monsoon in the region. Supplies in the coming months are likely to be lower than earlier predicted. Though Thailand expects strong production of 270 000 to 300 000 tonnes for 2016, increased regional demand, particularly from China, is taking away supplies previously channeled to traditional developed markets. Overall, China will likely to continue to influence the global market and prices if domestic production there does not improve. The market will also depend on the supply situation in India and Viet Nam, which currently does not have a promising forecast for the coming months. Thus, with low production and possible demand growth in Asia, the global shrimp market could see rising prices for the rest of 2016.